What are the Wombles’ names? See the separate Wombles names page. Where can you buy Wombles merchandise? For recent books, CDs and toys, try the online stores listed on the Wombles shopping page. – everything from Wombles annuals and cuddly toys to pillow cases and lampshades. If you’re visiting Wimbledon Common, the Wimbledon Windmill Museum has a small shop including a few Wombles items. It’s only open at weekends, from March/April to October. Where can you get Wombles fancy dress? You can hire Wombles costumes of Great Uncle Bulgaria, Orinoco or Madame Cholet (for adults) from many fancy dress shops, for about £30 for a weekend or midweek hire. You may still be able to buy Wombles costumes of Great Uncle Bulgaria or Orinoco (for adults), which were licensed by fancy dress experts Smiffy’s, for about £50. How many albums did The Wombles release? Various compilation LPs and CDs have been released over the years, including two Christmas ‘greatest hits’ albums. See the vinyl albums page and the CDs page for more details. The four original albums, plus the Wombling Free soundtrack album, were re-released in full on CD in June 2011. What were The Wombles’ chart positions? The highest chart position was Number 2 for Wombling Merry Christmas on 4 January 1975 – kept off the top spot by Mud’s Lonely This Christmas. 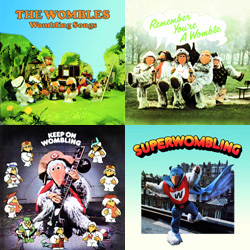 You can see the peak position and number of weeks in the chart for each of The Wombles’ singles and albums on the Official UK Charts Company website. You can also browse their full weekly chart archive. When were The Wombles on Top Of The Pops? The Wombles made 17 Top Of The Pops studio appearances in 1974-75, plus one in 1998. Only a few of the performances are thought to have survived, as most episodes were wiped until 1976. You can watch some of the surviving television appearances in the Wombles video gallery. Thanks to the Popscene TOTP forum for their episode lists. There was also an earlier Wombles appearance of sorts: on 20 December 1973, Jimmy Savile introduced a whole episode of Top Of The Pops while dressed in an Orinoco Womble costume, without much explanation. After the first few links he removed the head, leaving the body of a Womble with the head of a man – sometimes accompanied by the body of an audience member with the head of Orinoco. Where can you get Wombles lyrics? Complete lyrics for the double CD The Wombles Collection were published on Mike Batt’s official site at www.mikebatt.com. The original Wombles LPs also included lyric sheets. A songbook for piano / vocal / guitar was published by International Music Publications (IMP) to accompany the 1998 compilation, The Best Wombles Album So Far. It’s now out of print, but may still be available from sheet music shops or Amazon Marketplace. ISBN 1-85909-587-9 / Order Ref. 6329A (priced around £9.99). Wimbledon is a town in south-west London, England, best known as the location of the annual tennis tournament. 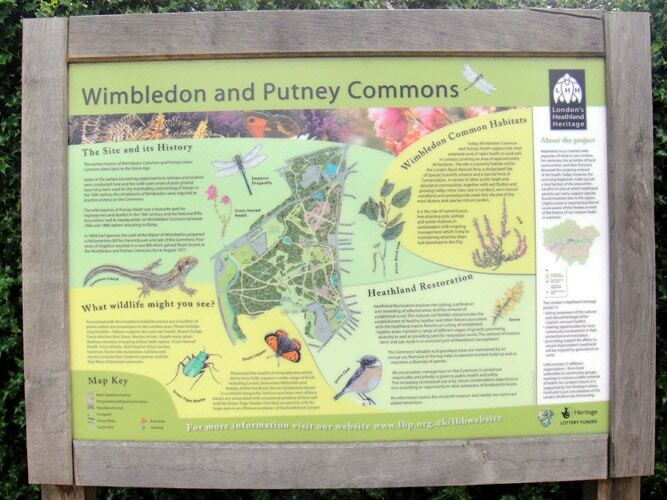 Wimbledon Common is a large area of open land for recreational use, including a nature trail, ponds, horse-riding, a golf course and playing fields. The Wimbledon Windmill Museum is open at weekends from March/April to October. Wimbledon is in the borough of Merton, which lends its name to the Wombles song, The Myths And Legends Of King Merton Womble And His Journey To The Centre Of The Earth. Where can you talk to other Wombles fans? Got a question that’s not answered here? Ask on Twitter or join the Wombles group on Yahoo! Groups, an email list where you can ask questions and share opinions and memories.